There comes a point in our lives when we wake up in an unfamiliar room and realise that the pages of our life’s book have led us to the next chapter. Moving out of home: be it for college, or to a hostel for entrance prep or because of marriage – anything that will require you to make big changes in your lifestyle. And more often than not, it’s very difficult to adjust. A new place brings new challenges, and quite possibly new frustrations, and the fact that you’re leaving behind all of your memories often does little to brighten your mood. It may be that the hot water boiler is never working, the weather doesn’t cooperate with you, or the mosquitoes see you as an all-you-can-eat blood buffet. The drastic change can take a toll on you, emotionally as well as mentally, and the vulnerability gives shaytan an easy access to messing with your mind. It’s times like these we need to give ourselves a spiritual makeover, because as they say, what doesn’t kill you makes you stronger, physically as well as mentally. In this article, we’ll attempt to cover every aspect of rehabilitation and try to provide practical solutions for the difficulties to our mind, body and soul: from how to manage jetlag to how you can strengthen your faith. This way, we’re maximising our productivity, and In sha Allah will find strength in the fact that with Allah’s Help, we can beat the shaytan. Easily! Many a time, the weight of your situation can lay a heavy burden on you, so much so that you may not want to go ahead. It’s understandable. You may feel alone, you may feel like the end is not in sight, but constantly remind yourself that everything you’re doing is for a reason. Stick post-it notes, change your phone’s background picture. Be it medical school or acing the exams, keep the goal in mind to keep the motivation flowing. Other people many not have been able to handle all the changes you have to put up with, but you can. Allah knows you can, and He’s testing you. Feel strength in the fact that the Lord of the Universe knows you’re strong enough to manage a few minor bumps in the road. It’s okay to feel overwhelmed. It’s okay to feel sad. It’s okay to feel alone. It just means you’re human. But don’t let your fears and uncertainties overcome you and keep you from working towards your aim, shrug it off and take a deep breath and plunge yourself head first, give it your all and leave the rest with Allah . Even if it may seem bleak, help is near. There’s a way. It’s the law of the universe, if you really set your mind to do something and you want it badly enough, you WILL get it In sha Allah. But you have to work for it. If you love it, then the work won’t seem so hard on you. Motivate yourself, strengthen your resolve, and go for it. Even if the fans stopped working and it’s 40 degrees outside, sigh if you have to but know that it’s all for a good cause. It’s almost over, hang in there. It may be tempting to spend half an hour of your rest time scrolling through Facebook. But you’re here to make a point, so don’t let them distract you. One tip is to leave TV and Internet options for after you finish studying, that way there’s less stress. But keep in mind, don’t sacrifice your sleep. Take it easy, and you’ll have the best of both worlds. If you’re under the effects of jetlag, you’ll be feeling a little off kittle at first. It’s alright, give yourself a few days, but once you get your body on track, give it a good schedule so that its circadian rhythm can work beautifully. I’d advise you to plan your work around your prayers as much as possible. Make sure you have a rough guideline for each day so you don’t waste time thinking about what to do next. No stress here, eat your main meals at around the same time every day, eat lots of colourful veggies and fruits, drink water like your life depends on it. A new place can have your body feeling odd, so make sure you’re giving it a lot of goodness, so that it can get a good kick start. Enjoy yourself. I’m not sure if we can manage eight hours every night, but I do recommend getting 6-7 hours of shut eye most nights of the week. It may seem hard to manage, but when you’re planning out your day, you’ll have enough time to get your Zzz’s In sha Allah. Jetlag may have you nocturnal for a few days, so ease into it. It’s best if you could sleep early and wake up a little before Fajr, so you can pray Tahajjud too, make your morning adhkar, and study after that. Try to do it, it takes a few days but it’ll work marvelously. There’re different ways to look at this: you may not prefer to lift dumbbells or go for a jog if the weather isn’t nice to you. The important thing is to stay strong and keep your body healthy – sound minds need sound bodies. Taking the stairs, a few push-ups now and then, jump rope, or even a quick run if you’re up for it, can ease the stress and make you stronger and help you accomplish your tasks. Ease into it; listen to your body’s signals. Sometimes all we really need is a silent heart-to-heart with our Lord. Prayer is the one thing that can hold your head above the water when it feels like everything is pushing you down. Never neglect your prayers, ever. In the initial few days, you may suffer from jetlag, but do your best to make your prayers on time. When it’s time to pray, go. Excuse yourself and go. When you’re connected with the Lord of the Universe, the Universe is going to work out. I cannot stress this enough, perfect your prayer before everything else. I know you know that patience is key, but I’m telling you again anyway. Patience is key to reaching your goal, because without it, giving up becomes easy. But trust me, it’s easier said than done, I understand that. Allah understands that too. See, He knows that being patient at a time when you’d rather pull your hair by its roots is hard, but when you really want something, you work for it. If you want Allah ’s Help, you work on His terms: patience and prayer. And that’s a snap, because if you do, productivity is a natural consequence. Remember the migration of the first Muslims, how they left their homes and memories behind in Makkah and made towards an unfamiliar land? They walked through the desert, under the unyielding heat of the Arabian sun, their clothes in tatters and their hearts torn. They reached Madinah exhausted and lonely. Despite their Ansari brothers’ warm welcome, surely they must have missed their homeland – the soil on which they grew up, the taste of the zam zam, their families and friends… yet they accepted it all. They came from a rich land; a land known all over Arabia for its power and resources, for its hospitality, for its economy and its pilgrimage. Madinah was a far cry from what they were used to: it was small and not well-known, agriculture did not flourish, and there was always a feud between the two tribes and rarely any peace. Yet, they accepted it all. We live in the modern world, but feelings and hardships still are the same as they were 1400 years ago. If the Muhajireen could accept it all, maybe we could do our best to do the same. They were human too, just because they had the Prophet with them, doesn’t give us an excuse to let ourselves go. Allah was there for them, and He’s also there for us. Don’t ever forget that. If prayer is you speaking to your Lord, then this is your Lord speaking to you. Even if it’s only for fifteen minutes every day, make time for the Qur’an. Choose a time of day and stick with it. After Fajr, in the evening after class, it’s your choice. But don’t ever neglect it. Read surah Taha and surah Qasas if you want to know how Musa handled his hardships, or surah Yusuf to know about Yusuf . Enjoy yourself, relax yourself, and just read. Allah wants you to listen to Him. These are like the ultimate weapons against shaytan and his minions! Make time for your morning and evening adhkar, even if it’s just ten minutes, do it. Who knows, you may make a dua at the time of day when Allah answers all duas. Remembering Allah is the silent strength of a Muslim, remember how Prophet Musa felt all alone in Madyan, and he called upon his Lord. See, he was scared too, so he asked Allah to help him. Turn to Allah , He’s there for you. Moving out can mean putting yourself smack dab in the centre of temptation. There’re two ways to look at it: You’re Muslim but you’re human, OR: you’re human but you’re Muslim. The latter is the successful one. It may be extremely hot and everybody else is pitying the Muslim sister because she’s completely covered – socks and everything. But the sister knows that Hellfire is hotter than any summer on Earth, so she does it for the sake of Allah . Don’t succumb to temptation of any kind, be strong. You’re a Muslim, hold your head high. I hope my tips on dealing with your new environment/situation have helped you feel and work better. 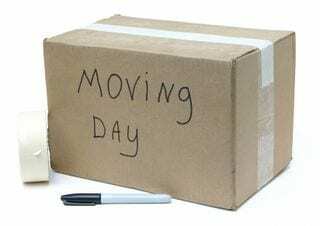 I’d love to know your strategies on coping with the changes of moving away from home: do leave a comment below! Faiza Jafar is a student who hopes to enter medical school In sha Alla. She is also an Islamic youth leader in her country. Her writing tends towards youth empowerment and dealing with common problems of productivity. She is an aspiring author and seeks to inspire people to believe in themselves and work towards their dreams.